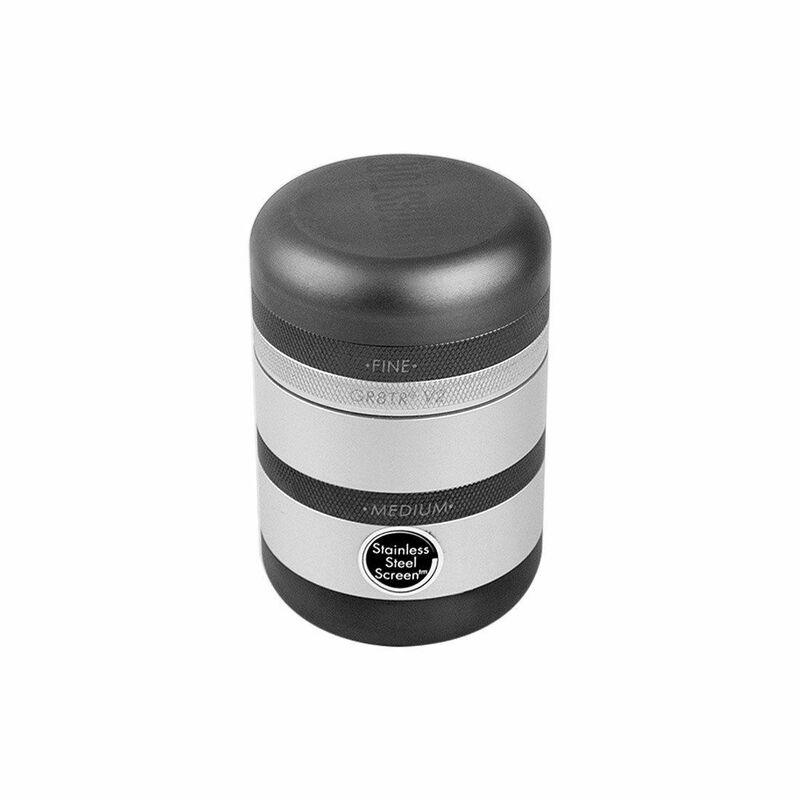 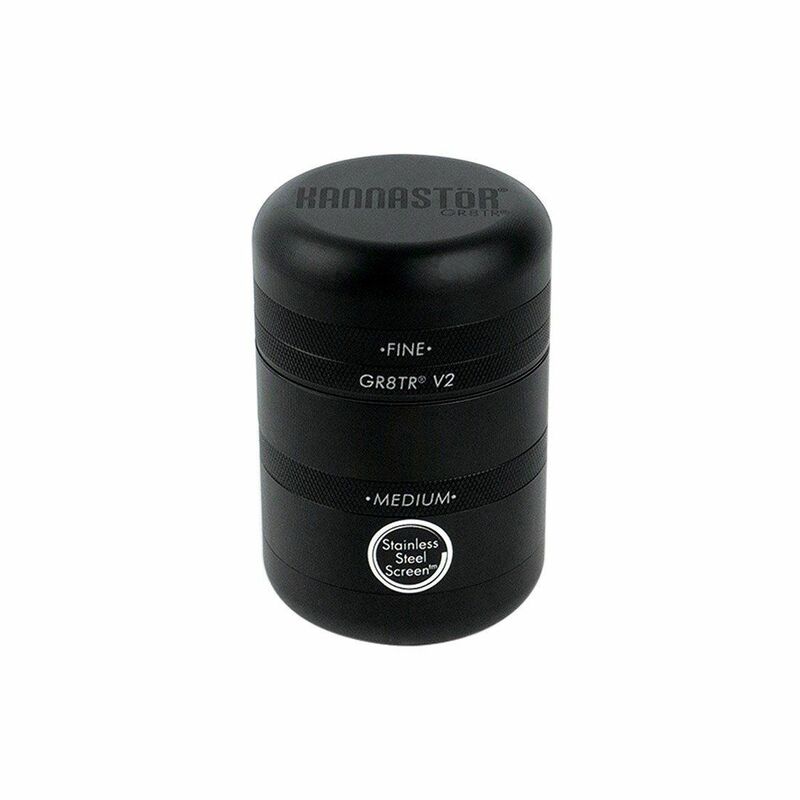 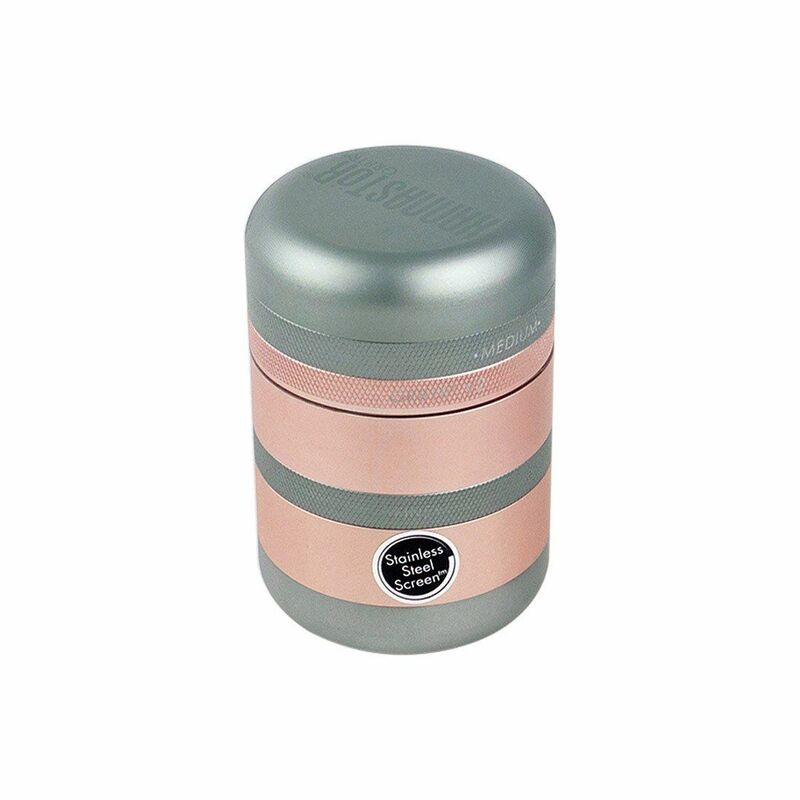 The Kannastor GR8TR V2 Series Grinder w/ Solid Screen Chamber is a new and improved version of the world's most advanced and versatile grinder for use with dry smoking blends. 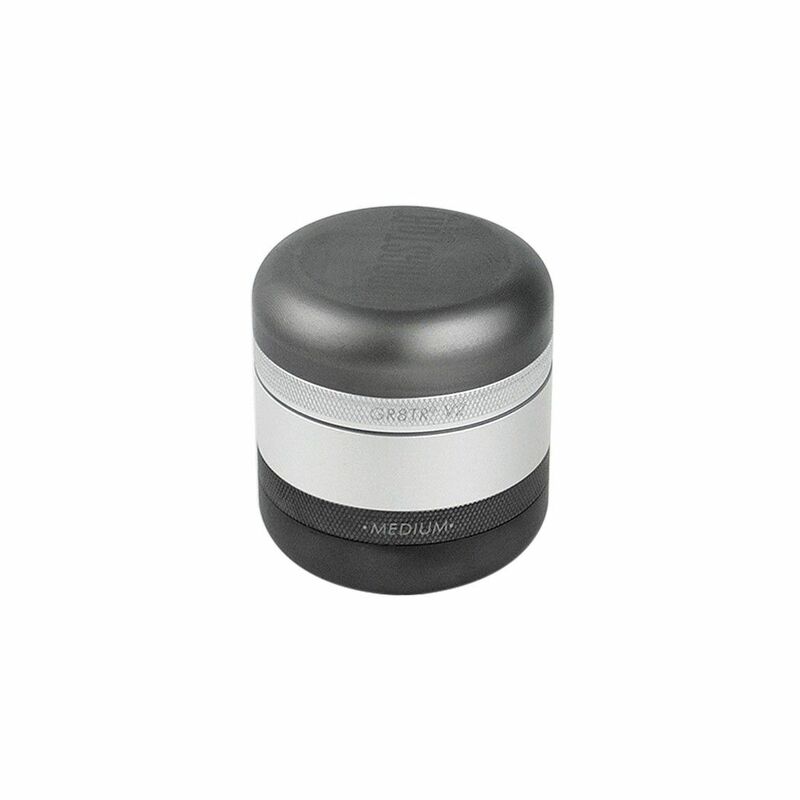 The GR8TR V2 Series Grinder sports many of the same great features as it's predecessor but with a redesigned body for that sleek appearance to match the advanced functionality. 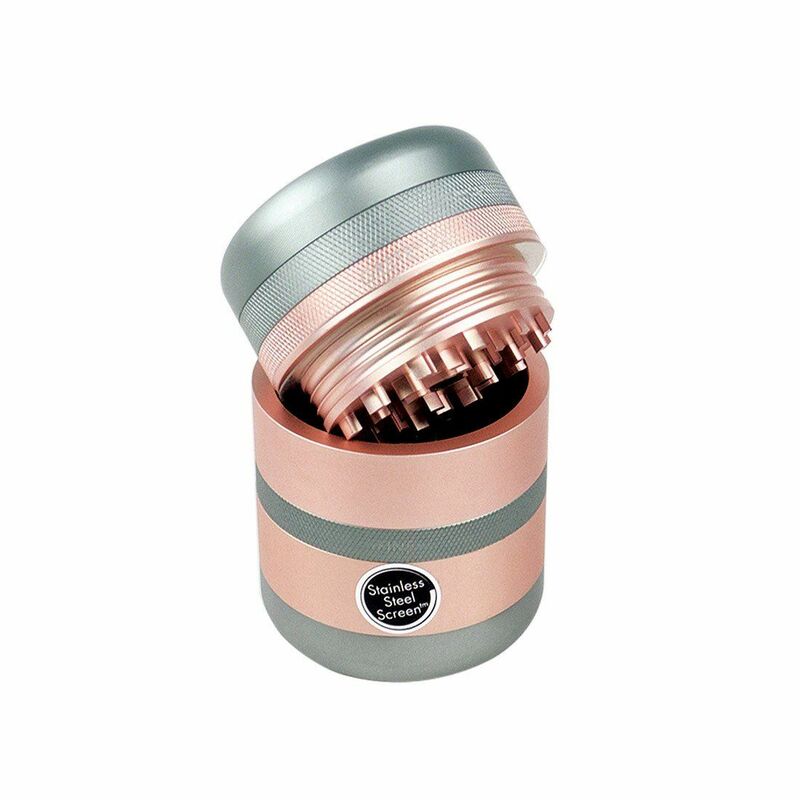 Kannastor's innovative GR8TR V2 Grinder is modular by design, allowing you to configure and assemble it in many different ways to fit your needs. 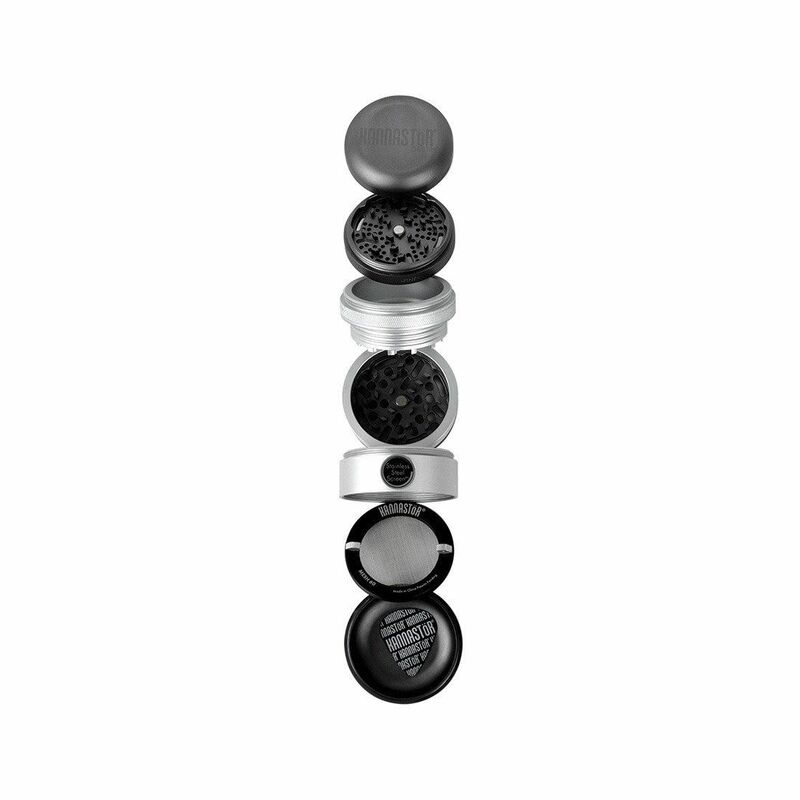 Fully assembled it is complete with grind chamber, sifting screen section and pollen collection tray as well as bonus storage areas for extra material and grind plates. 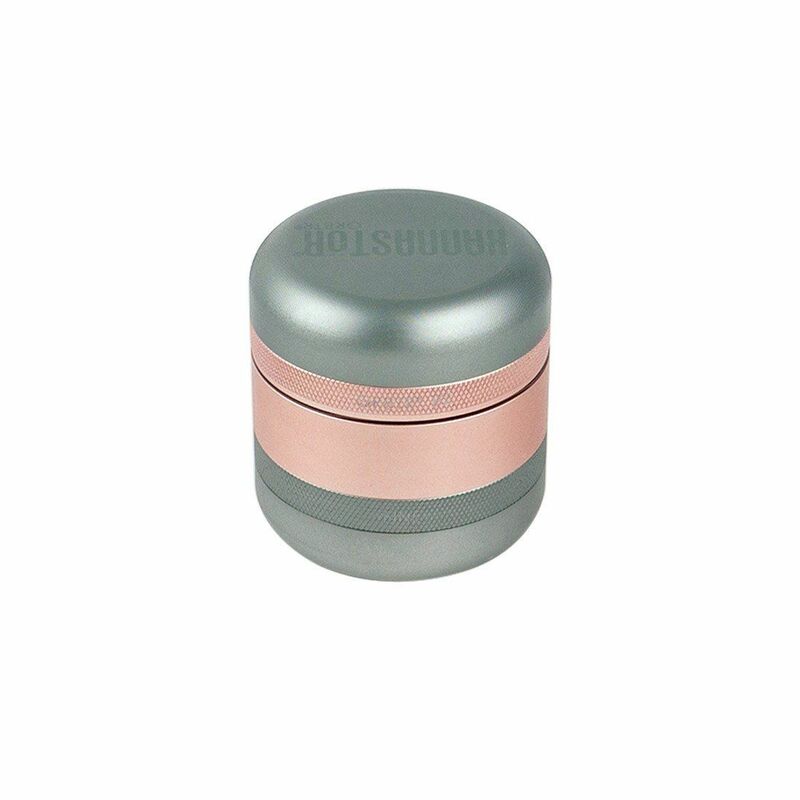 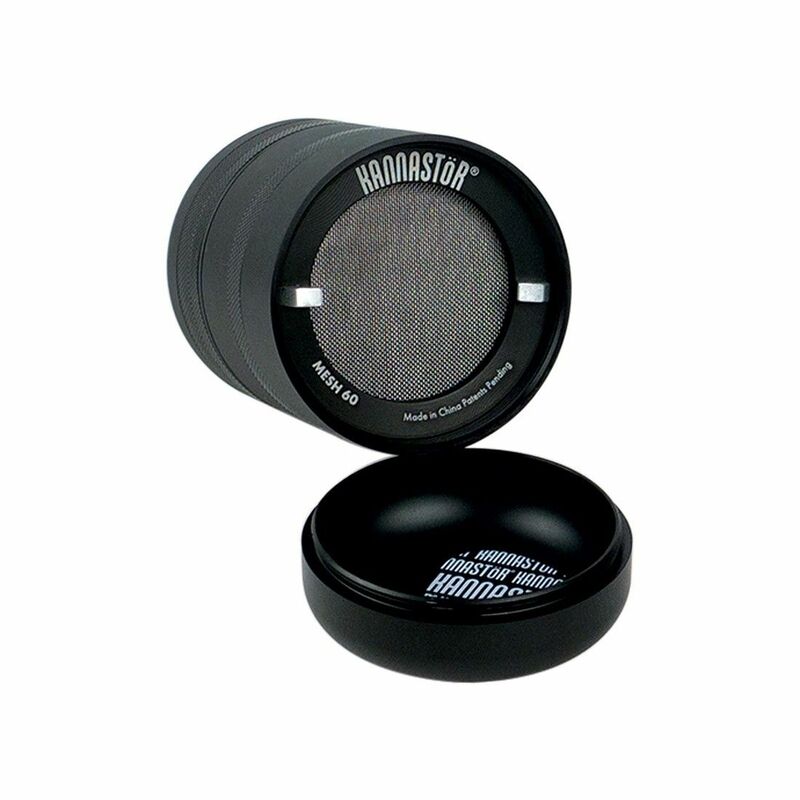 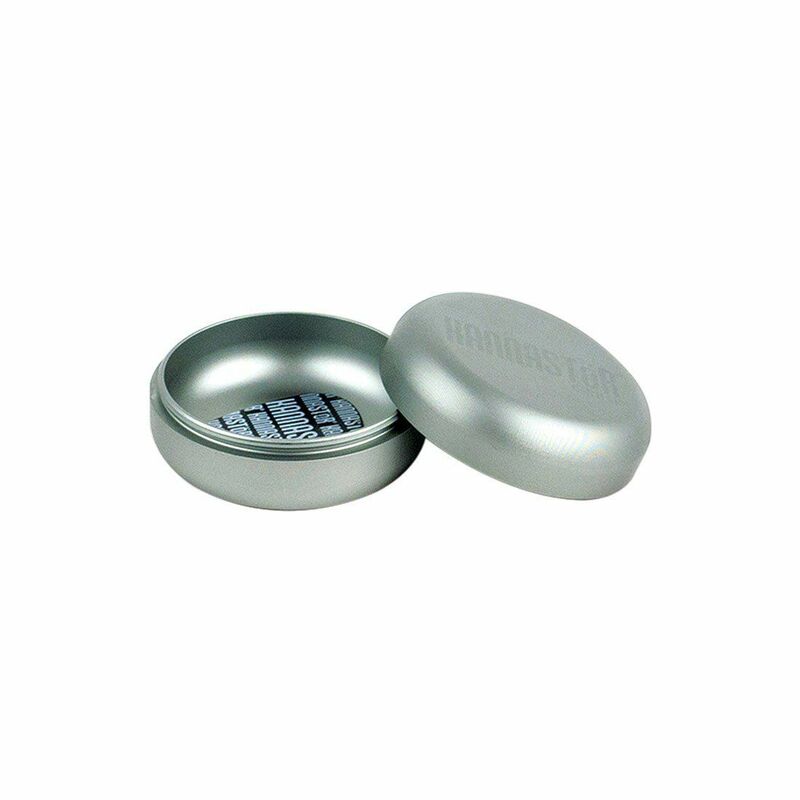 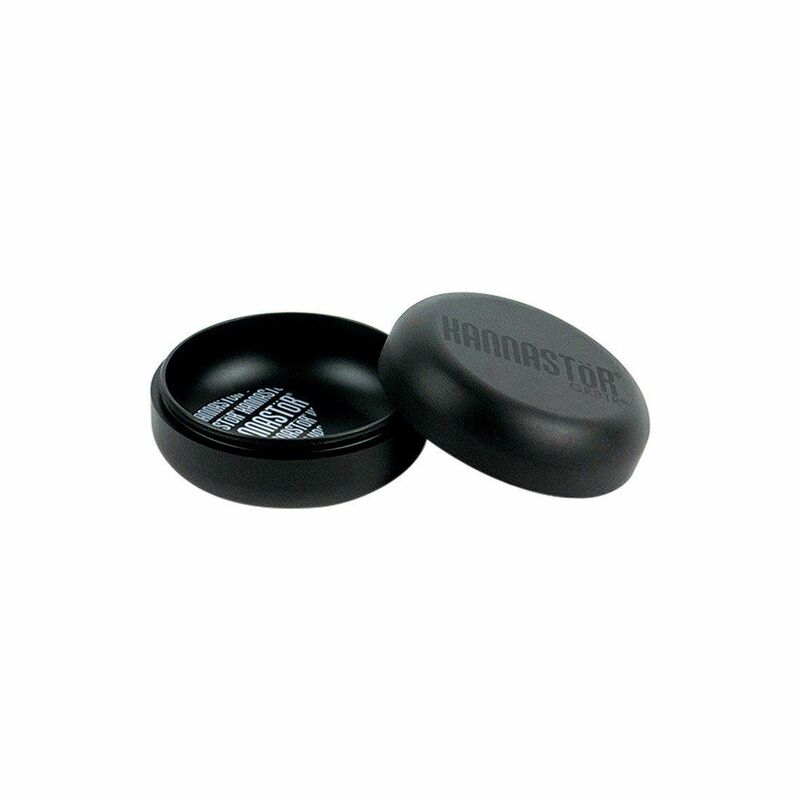 You can remove the sifting chamber to break it down into a 3 piece model or combine the top and bottom caps to create a pocket-friendly storage puck for easy travel. 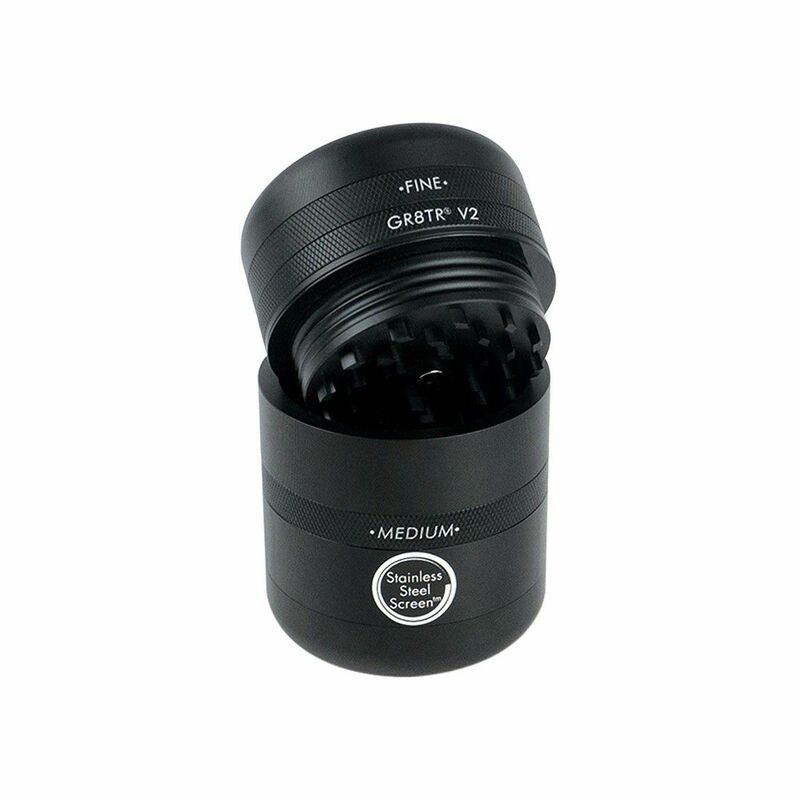 Unlike any other grinder, the GR8TR V2 utilizes interchangeable grind plates and sifting screens that offer full control and customization over your results. 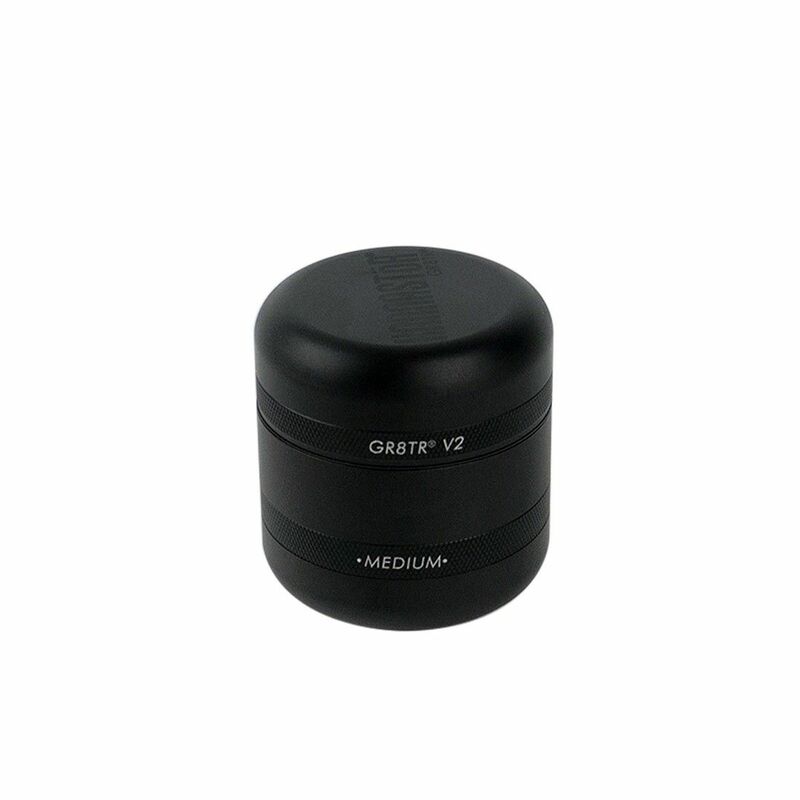 In every GR8TR V2 Kit you have a Medium and Fine grind plate that will each deliver a unique grind consistency and you also have a 60 Mesh Easy Change Screen that can easily be swapped out with one of the other mesh sizes from Kannastor (sold separately). 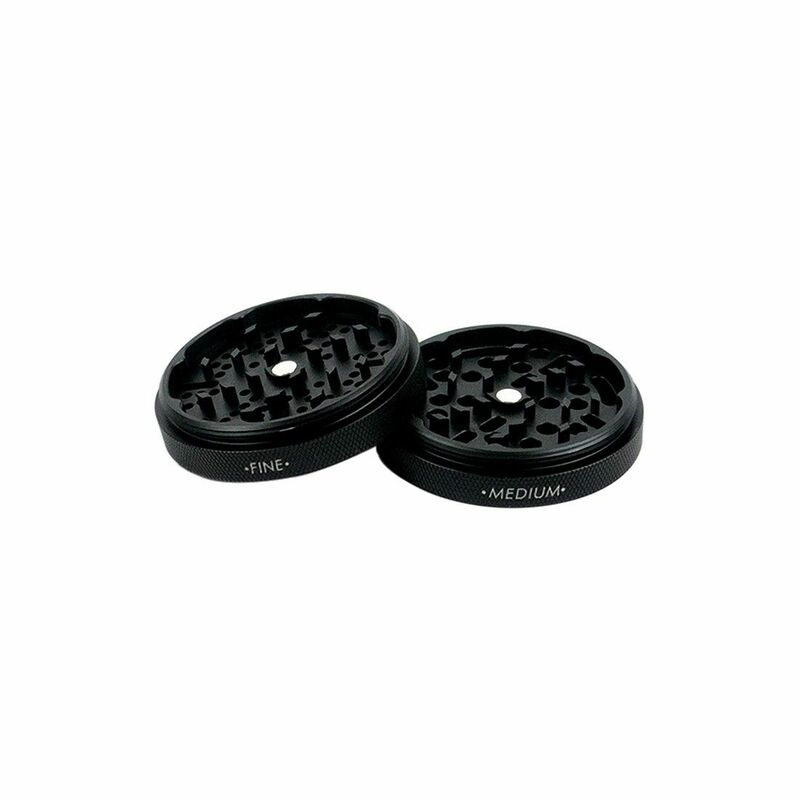 The GR8TR V2 Series Grinder also features a premium 61/60 hard anodized aluminum construction that is food safe and as durable as it gets. 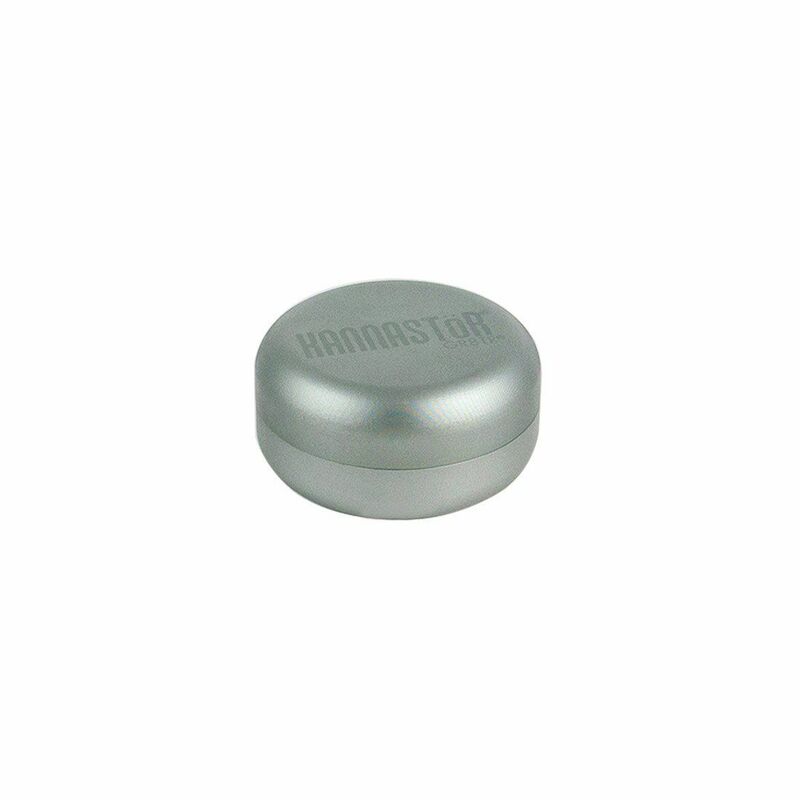 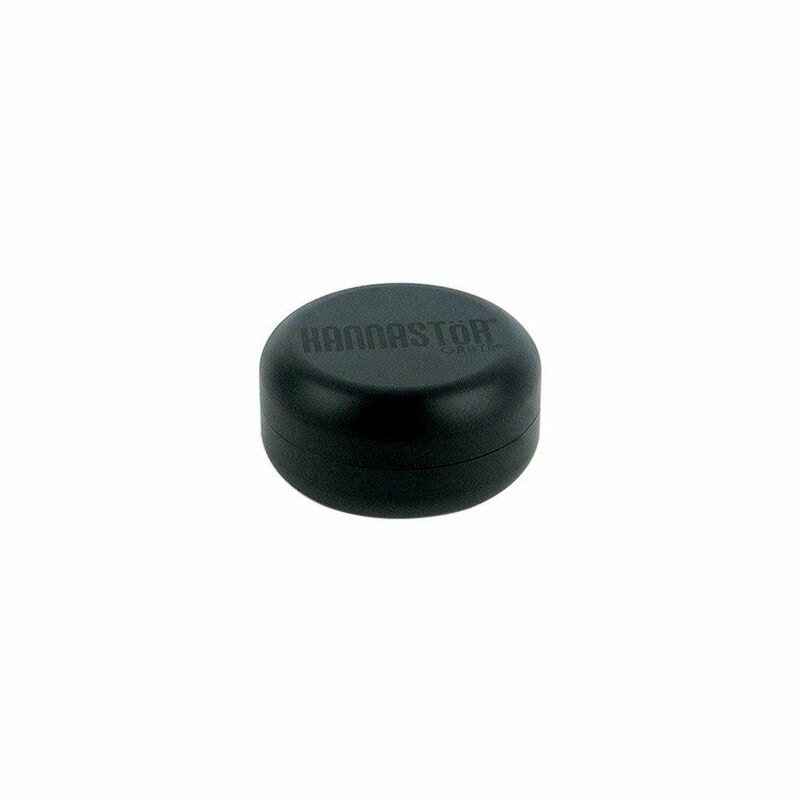 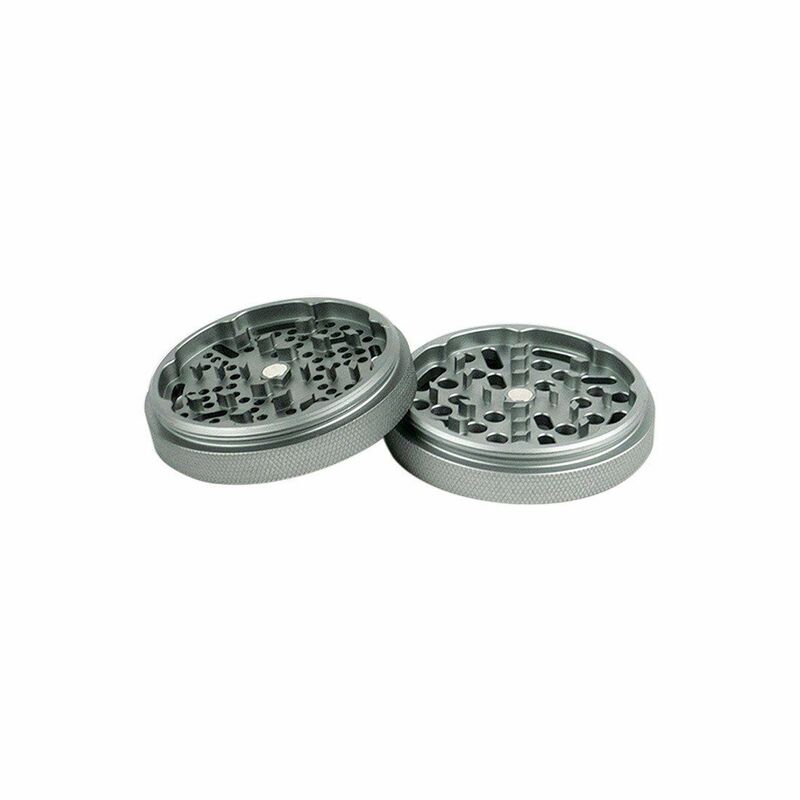 Kannastor backs each of their V2 GR8TR Grinders with a limited warranty that guarantees it will last a lifetime under normal use, ensuring you are investing in a quality piece that could easily be the last one you ever need to add to your collection.